Sometimes I get asked the same question over and over again — “How did you get started with a more natural lifestyle?” And honestly, we’re not completely there yet. I still have guilty pleasures like oreos, ramen noodles, and chocolate….just to name a few (stop judging). The road to trying to live healthier hasn’t been a bummer at all. In fact, I have really enjoyed it. It has caused me to do things I’ve never done before. It allows me to make home made things for my family, which I know they thoroughly enjoy. But most of all, it has caused me to realize that I can take control of my family’s health, and ultimately, for almost all (non-life threatening) mishaps or sickness, I can tend to my family without ever having to step foot into a doctors office. While I am for holistic medicine, please understand that I completely realize there may come a time when we have to make a doctors visit or ER visit. Though, I hope it isn’t anytime soon. Believe it or not, not everyone you know shells out an arm and a leg for a more natural lifestyle. We pay what we can and leave the rest for the following week or month. We do the things we can and we settle for that. Because in the long run, a few healthy changes are better than none! Here are five quick and easy changes that you can make to promote healthy living in your home. Keep in mind that you might have some kick back and grumbling from others who might be living in your household, but eventually, they will come around…maybe! 1. Start cooking from scratch rather than eating frozen meals/at restaurants. I was amazed by how much healthier we ate when I cooked a meal from scratch rather than a freezer container. Sometimes this meant breakfast, lunch and dinner. Other times, it just meant dinner. I grumbled and complained at first, but eventually I came to really enjoy what I made, especially when we quickly realized that it tasted so much better than the other stuff. Now that I cook more often, many times I’m disappointed with restaurant food, and I’ve noticed my husband is as well. There have been numerous times when he’ll say, “this is disappointing, you could make this better at home”. We’ve grown to realize what “fake” tastes like, and it’s amazing and disappointing all at once. There are certainly still our guilty pleasures which we know aren’t the healthiest decisions for us, but darn it, we like them! People often think cooking from scratch is more expensive than buying frozen or eating out. In some cases, it can be. But when bought in bulk (flour, sugar, herd and meat shares) it is often less expensive. Most of our meat is venison, which we kill ourselves. The remainder of our meat either comes from our backyard or from herd shares with other homesteaders. With that said, I understand that raising your own meat might not be possible for you right now. However, going in halves with someone else on a cow, or buying a whole hog from another farmer will typically last a family of 3-4 for 5-6 months. If it’s a large cow, it will last much longer and will be much less expensive and healthier than buying meat from a store. 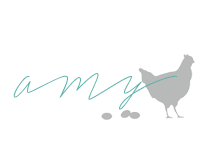 Many times, even a specialty store or farm store can be much more expensive than buying meat directly from a farmer and having the animal processed yourself. 2. Start using essential oils (EO’s) and herbal remedies more often. Start little. Don’t take it on all at once. Start with everyday nicks, bumps, and common ailments. And remember that you’ve spent a lifetime putting bad things into your body. 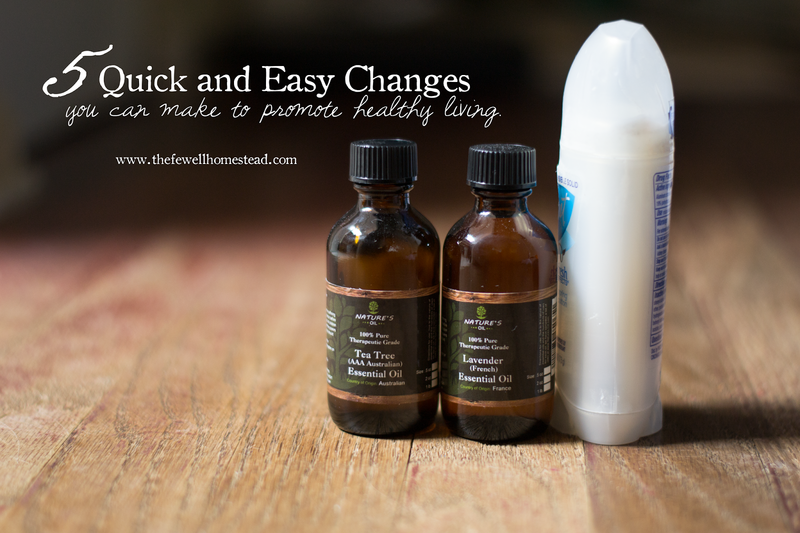 Switching to all natural remedies and EO’s might not necessarily work miracles right away. Prevention, however, is key when going completely herbal. 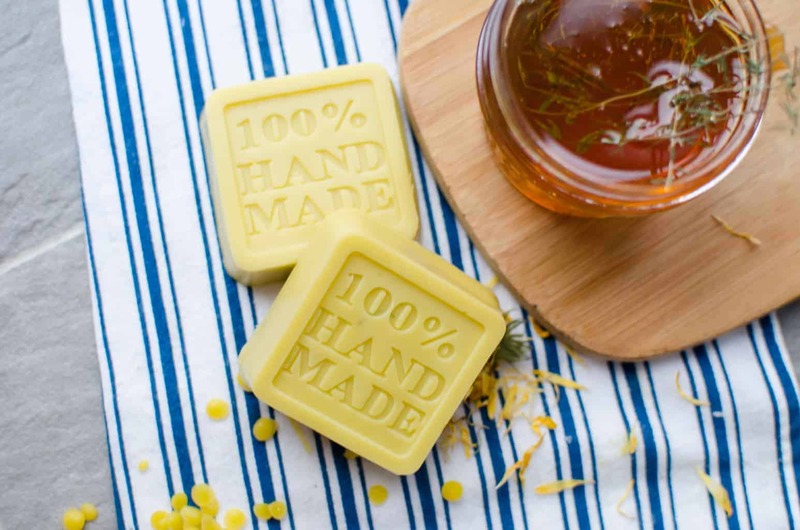 While EO’s and herbal remedies can heal just as well as antibiotics in some cases, their biggest miracle happens when you begin using them as prevention to illness and disease. In any case, please do not douse yourself or your family members in EO’s everyday, it’s not healthy when using for prevention. I always tend to try herbal remedies before automatically going for the EO’s. EO’s are so potent and should be used sparingly unless actively treating an ailment. We could talk for days about which EO brand to use, but ultimately, it’s whatever your budget can afford and what is the purest. I tend to stay away from large multi-level-marketing companies just because there is too much hype around them. I have, however, used many of them and loved them. I do prefer doTERRA oils. 3. Make your own toothpaste and deodorant. I absolutely love my homemade toothpaste. I’ll admit, when I first tried it, it took a bit of getting used to. But now, I couldn’t imagine using regular toothpaste. In fact, I’ve tried, and my gums literally burned for about 3 hours after using it. That, my friends, is not healthy at all. The base for my homemade toothpaste is coconut oil, which has many benefits within itself. Coconut oil is believed to pull toxins from your teeth, gums and mouth in general. It also naturally cleanses bad bacteria in your mouth. 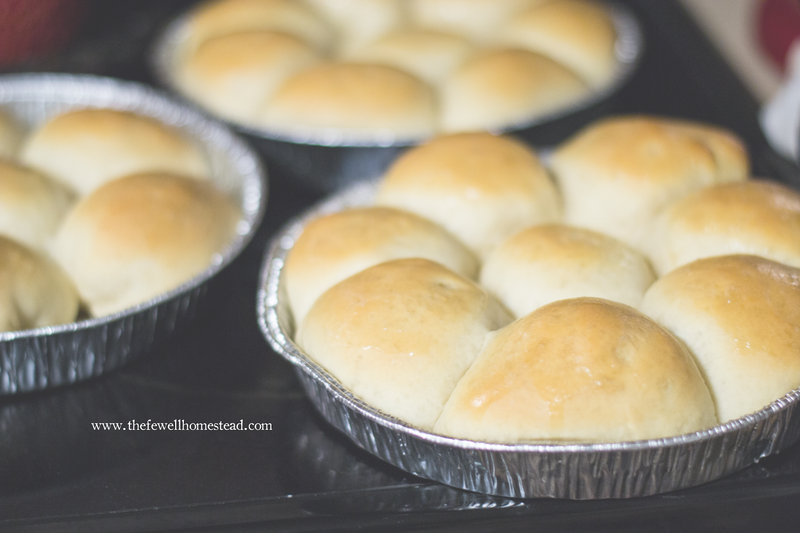 Read more about my experience and recipe here. Did you know that most deodorants (for both men and women) contain harmful chemicals and aluminum? Many of them have been proven to promote memory loss, Alzheimer’s. and cancer. If you know anything about simple science, then you know that these claims can be very much true. And I can attest to the theory of “clogged pores that hold toxins”. One of the biggest issues I have had when using regular deodorant is that I have this awful brown skin under my arms. One of the major deodorant companies even made a new deodorant that was supposed to “get rid” of the brown skin that supposedly comes from shaving your arm pits. It worked, or did it? It certainly lightened my skin, but the brown never completely went away. 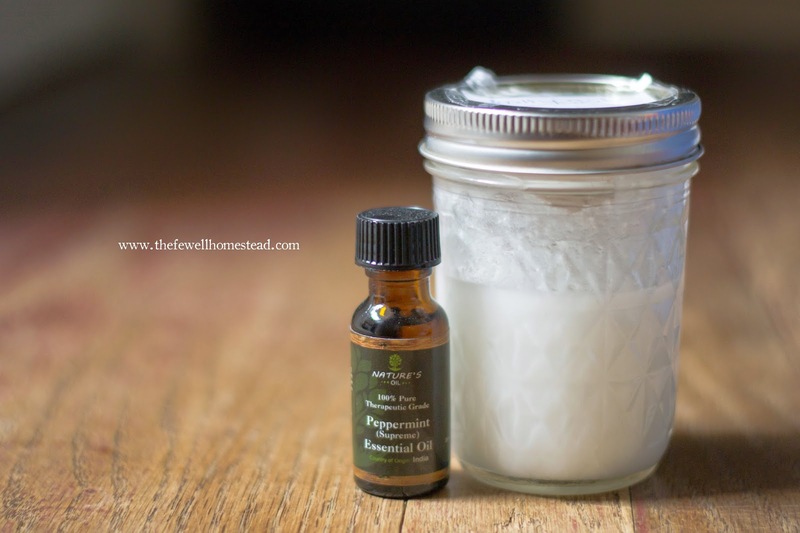 Fast forwarding to my very own homemade deodorant. The first three days of using it were horrendous because my body was literally ridding itself of the toxins that had been trapped beneath the layers of gunk that had built up in my pours. And guess what. After stopping the use of commercial deodorant, I no longer had brown marks under my arms. Amazing! I would eventually come to find that your arm pits shouldn’t naturally “stink”, and that the smell comes from toxins in your body. I started to take notice, and it was absolutely true. When I ate real, healthy home cooked meals, my underarms never stank (without deodorant). Whenever I ate something overly processed, or drank soda, I literally couldn’t stand myself. Since I am home all day (I work from home) I actually don’t really ever use any kind of deodorant, and I don’t stink…imagine that! However, when we go out, I tend to put a very thin layer of non-aluminum based all natural or homemade deodorant. 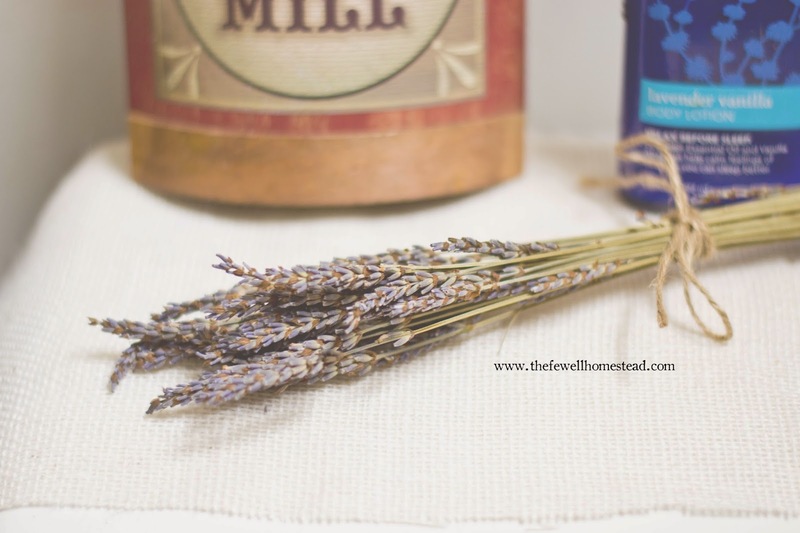 You can read more about my homemade deodorant and how to use it here. 4. 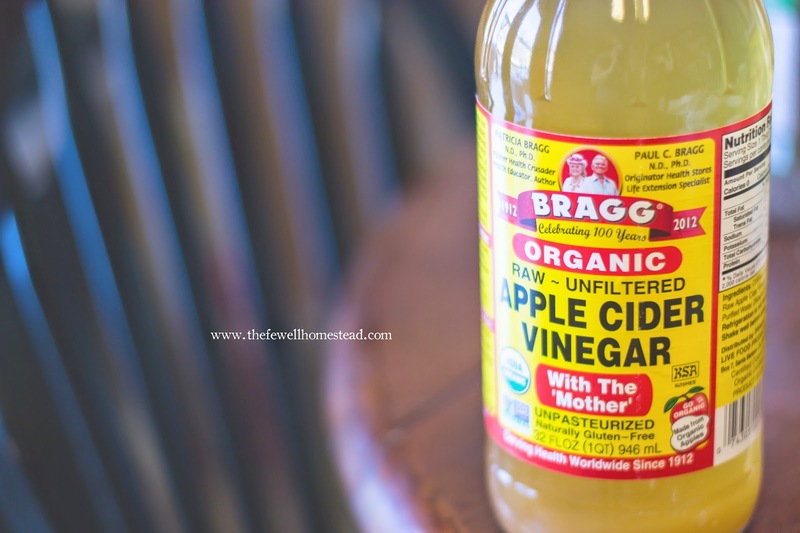 Add Organic Apple Cider Vinegar (ACV) to your diet. Awhile back I read a book titled Folk Medicine, by Dr. D.C. Jarvis, M.D. (click on link for my book review) I literally sat there with my mouth open most nights while reading it. I had often heard that Organic ACV (with the ‘mother’) was a healthy way to keep your body processing properly. But I never realized all of the other benefits and success stories. Many people I know take a small shot glass of ACV each day. A friend of mine recently started taking it when he found out he had an issue with his colon. He told the doctor to hold off for a few weeks before proceeding with anything, and he began drinking ACV each day (just a small cupful). When he returned back for his checkup and treatment options, the Dr was astounded to find that my friend was completely healed and there was absolutely nothing wrong with his colon. Incredible, huh? This isn’t just a “story”, this is truly a success story from a dear friend! Did she really just say that? Did she really just tell me to sleep? Yes, indeed, I did! Of course, don’t be lazy. In the same respect, get on your feet and do something during the day and throughout the entire day. But keep in mind, our bodies were created to rise and sleep with the sun. Imagine a world without clocks, as our ancestors didn’t have them. They rose early in the morning, as the dawn slowly came to meet the horizon. They worked during the day, and yes, sometimes they even took naps around lunch time. They continued working until the sun started setting. 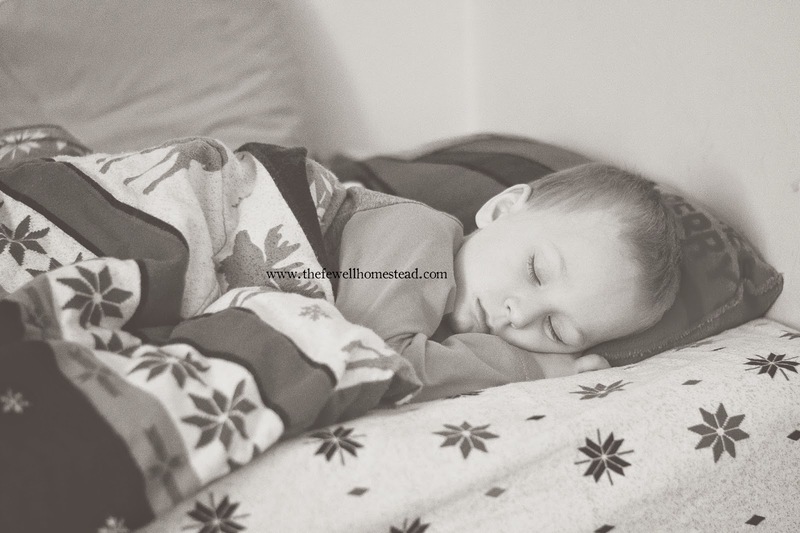 Then they came home, ate dinner, and guess what happened next…..they rested. It doesn’t mean they went to bed right away, but they did rest, and yes, many times they went to bed. Now, I cannot imagine going to bed at 6 pm in the Winter time. But I will say that when I force myself to go to bed at 8:30 pm rather than 10 pm, I am much more rested in the morning when I awake. And when I wake up at 6 am instead of 7 am, I’m much more prone to fall asleep quicker in the evenings, and am much less restless. Our bodies are the closest thing we own to all natural nature. Most of the time, it knows what it’s doing. If you’re tired, rest. If you’re not tired, don’t rest. Some of us need more sleep than others, some of us need less. But in the end, your body will literally start flying on auto-pilot if you don’t start resting the proper amount of time that you should. In which case, you begin to open yourself up to colds, viruses, and bacteria, because your body is much too tired to fight them off. All in all, making just a few simple and easy changes in your life can (and most likely will) eventually lead up to bigger changes in your lifestyle. The things listed above are simple everyday things that you do. They are not expensive and take little to no time to change. Your biggest change will be cooking from scratch more often, if you don’t already. But while it may take a bit more time, you will thank yourself, a hundred times over, in the long run! Hi Amy, I want to read your post about the homemade tooth paste and homemade deodorant but I can’t. They say that I am not invited to read that post. How can I read your post? Thank you and God bless! Thank you for bringing this to my attention! I’ll try to rework those posts and get them posted again.